Indulge your body with the luxury it deserves – Our stunning Stem Cell 3D Luxury Collection features all of DermaQuest’s amazing discoveries they have made since becoming the leaders in plant stem cell technology. We offer the entire 3D Ritual which will immerse your body from head to toe in our most cultivating and hypnotising formulations yet. This collection leaves no stone unturned, it has been created to renew, repair and refine your skin with lavish intensity. 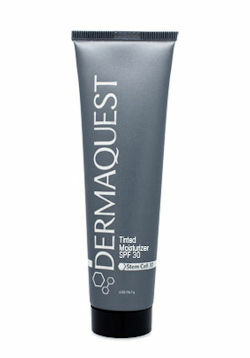 Rejoice and indulge in the power of DermaQuest. 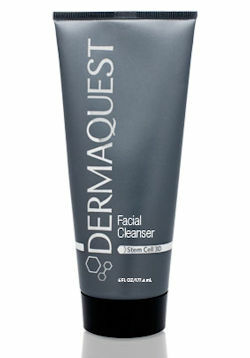 DermaQuest’s Stem Cell 3D Facial Cleanser is a gentle, foaming cleanser that features up-to-the-minute anti-aging technology with Biotech Marine® and botanical stem cells. It beautifully purifies your skin, removing makeup and impurities whilst restoring and revitalising. 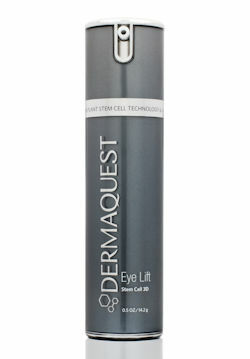 Gently illuminate and lift your eyes with DermaQuest’s luxurious Stem Cell 3D Eye Lift cream. Featuring the renewing abilities of Biotech Marine with restorative Gardenia, Sea Holly Stem Cells and Red Algae. It has been blended with a luxurious creamy texture to lighten, lift and tone the area around your eyes with a stunning illumination. 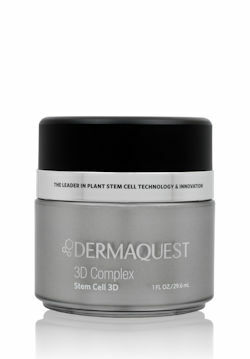 DermaQuest’s Stem Cell 3D Complex is the most notable technology in anti-aging since the debut of the neuropeptides. It has been lavishly infused with advanced Biotech Marine® and botanical stem cells, powerful brightening peptides, and potent antioxidants. This silky, rich and creamy blend should be at the heart of your 3D Ritual and DermaQuest’s exclusive salute to the illusive fountain of youth. Capture the soul of beauty and vitality with this light, sheer-tinted moisturiser that features UVA and UVB sun protection. Invigorated with botanical stem cell technology, peptides and juicy antioxidants, your skin will fell enriched and smoothed as you shade the restorative properties of your 3D Ritual under this protective veil. 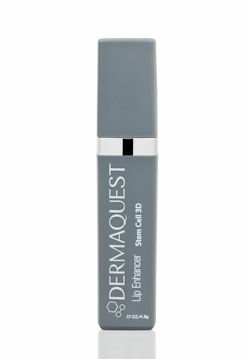 Enhance your seductive pout with DermaQuest’s stimulating Lip Enhancer that is infused with firming Maxi-Lip peptide and botanical stem cells to repair and prevent DNA damage. The Stem Cell 3D Lip Enhancer instantly plumps and hydrates your lips leaving a glossy appearance that magnifies your lips natural colour, adding a stunning finish to your 3D Ritual. Anti-aging treatments shouldn’t be limited to your face, indulge your entire body with the finishing treatment of DermaQuest’s 3D Ritual. Adore your body by pampering it with the rejuvenating anti-aging plant stem cells and velvety and indulging formula. It will lusciously hydrate, firm and balance your skin, reducing wrinkles quickly and effectively, leaving you with soft, supple skin from head to toe. 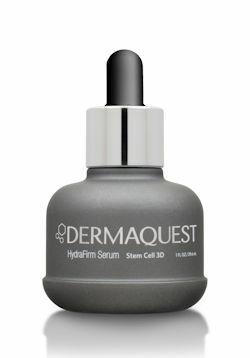 Immerse your skin with an abundance of moisture with DermaQuest’s smooth, hydrating serum that is overflowing with botanical stem cells. The Stem Cell 3D HydraFirm Serum is the perfect base coat for your 3D Ritual, fortified with remarkable concentrations of Gardenia, Echinacea, Lilac and Orange Stem Cells, it will soften fine lines and wrinkles whilst improving your skin tone and restoring elasticity. After each use, your skin will possess an attractive, dewy glow. 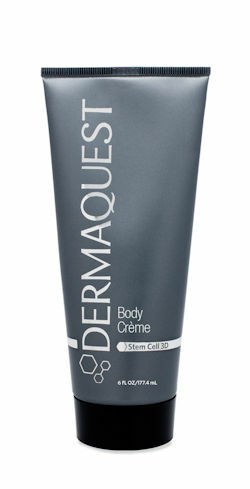 It is perfect for application before using the Stem Cell 3D Tinted Moisturiser.